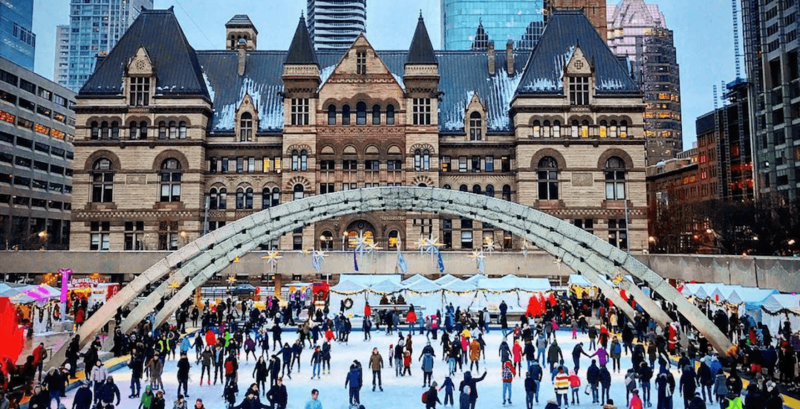 Skating at Nathan Phillips Square in downtown Toronto is a quintessential winter moment for anyone who lives or is visiting this city. The crowd, the view of city hall, the smell of fresh street meat cooking nearby. And it’s all in the heart of our beloved downtown core. Throw in change rooms, washrooms, a snack shop, and skate rentals and you’ve got everything an entire weekend afternoon needs. Don’t feel like hitting the ice? No problem. There is also a generous upper-level roof terrace for visitors to take in the panoramic views of the Square. So lace up your skates, because the iconic rink is opening for the season this Saturday, November 24 for the 52nd annual Cavalcade of Lights.